The Judicial Performance Commission of the Twentieth Judicial District unanimously recommends that Judge Norma A. Sierra BE RETAINED. 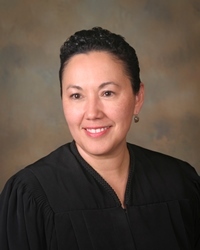 Judge Sierra was appointed to Boulder County Court in January 2011. She earned her law degree from the University of Texas in 1987. She received a Bachelor’s degree in Business from the University of Texas El Paso prior to that. Before moving to Boulder she worked in the U.S. House of Representatives and at the U. S. Department of Justice. She served as the domestic relations magistrate in Boulder County from March 2002 to January 2011. For this review, the Commission considered responses to anonymous surveys sent to attorneys and non-attorneys that appeared in Judge Sierra’s courtroom, a self-evaluation, unannounced visits to her courtroom, several of her written opinions, and an interview with Judge Sierra. The Commission held a public hearing soliciting further information about all the judges up for retention. Survey results were positive overall. Judge Sierra is seen as a judge who keeps appropriate control of her courtroom, communicates well, and is diligent. Judge Sierra received an overall grade of 3.37 out of 4 across all categories of survey evaluation, somewhat lower than the average overall grade of 3.43 for county court judges statewide. Attorneys rated her at 3.19 out of 4, below the average of 3.29 for county judges. Non-attorneys rated her at 3.55, consistent with the average of 3.57 for all county judges. Among attorneys surveyed, 70% recommended to retain, 20% not to retain, and 9% made no recommendation. Among non-attorneys, 86% recommended to retain, 9% not to retain, and 4% made no recommendation. The Commission concludes that Judge Sierra is diligent, efficient, and knowledgeable about the law. The survey reveals that her courtroom demeanor and procedural management are very good. Fifty-three percent of attorneys surveyed find the judge to be biased in favor of the prosecution, compared to only 35% for all county judges being evaluated this year. Fifteen percent of non-attorneys find the judge to be biased for the prosecution, compared to the 11% average. Some comments in the survey indicated a concern with Judge Sierra’s knowledge of certain areas of the law, principally criminal law. Judge Sierra acknowledges that this and some other areas of the law have been a major challenge, but the Commission feels she is doing all the appropriate things to get the necessary education and advice in these areas. In the surveys asking for a description of Judge Sierra’s strengths, the most commonly referenced is communication. The most common weakness mentioned by attorneys is bias in favor of the prosecution, whereas non-attorneys had very few comments on weaknesses. The Commission recommends retention, believing that Judge Sierra is doing well overall and will continue to work on the identified weaknesses.